Happy Friiiiiiiidaaaaay! (I'm trying to sound like the let's get ready to rumble guy in your head right about now) Today I have a short day and just might head up to my alma mater and give some $ to the bookshop for winter gear- I'm so charitable... The drive up to Roanoke this time of year is absolutely breathtaking with the changing leaves and the mountains in the background! This weekend also marks the 3rd annual haunted woods excursion put on by neighbors of my parents and I hear its pretty bad ___ and scary! (more for adults than the little ones) I just might have to check this one out and report back to ya'll- maybe film myself like Ellen did with her producer in the haunted house- tell me ya'll saw that! I laughed so hard I almost peed my pants! Anyway, hope everyone has a happy and safe weekend! I'm linking up today with the usual gang of pretty ladies: Christina, April, Darci and Natasha as well as Amanda over at Meet @ the Barre and Karli with September Farm - join in! FALL TV- gah I am lovin' having all of my shows back from Revenge and Resurrection to the ever so creepy and twisted American Horror Story. I also love ABC's Wednesday line up and sometimes watch it from 8-11. Ya'll were so right about Nashville- I'm almost done with season one and I'm totally addicted! The upstairs hall bath is painted and tile is down! 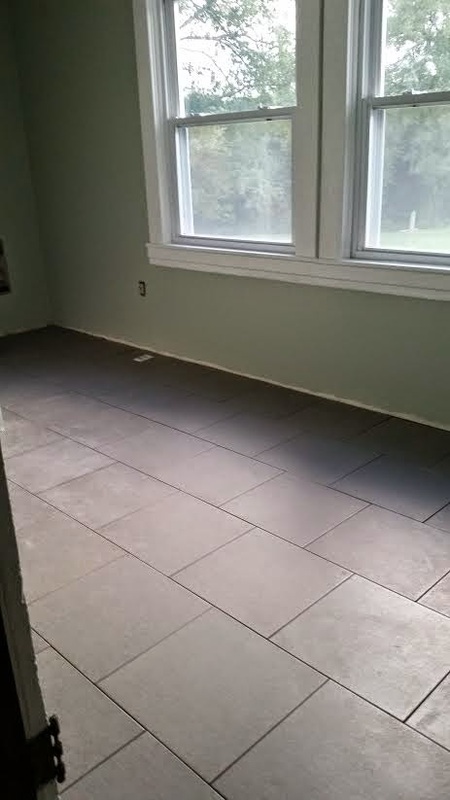 I absolutely love how the color turned out in there and the dark tile is better than I had anticipated- My in-laws rock! Nashville is one of my favorite shows! Love it!! And I started watched American Horror Story but I haven't watched this week's episode yet. SO creepy! Your tile is gorgeous! And I made that soup last Sunday and had it for lunch almost every day this week.. it's super yummy! Happy Friday! So many fun things in one post, I don't know where to start. I will say, that I totally read your FRIIIIIDAY the way you intended, great minds think alike. Fall TV is soooooo good this year and I'm loving Nashville, they are doing an awesome job with the plot, in my opinion. You totally need to get into the Good Wife, sooooo awesome. 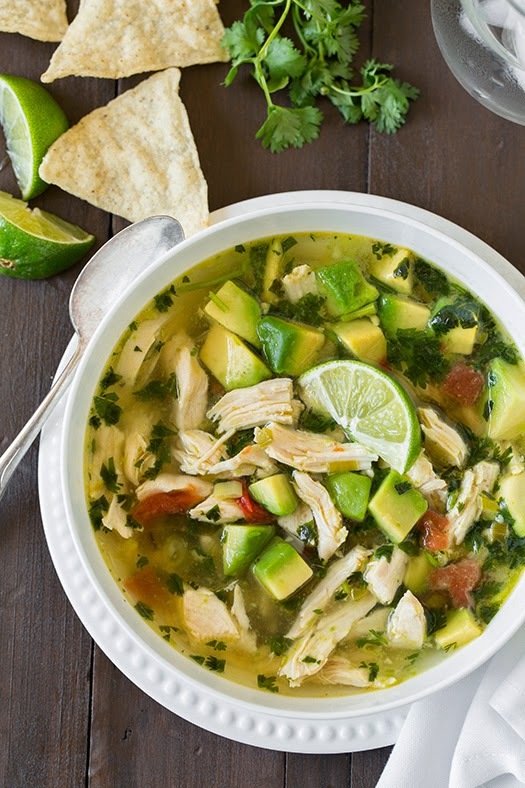 The house looks fabulous and that soup looks divine, I need some ASAP! I love a drive in the Fall where you get to see the leaves changing--it's always so pretty! (It's also a fabulous time to head out to some wineries, too haha). That haunted woods thing sounds super scary--you have fun with that lol. Love how the tile and the wall color came out!! 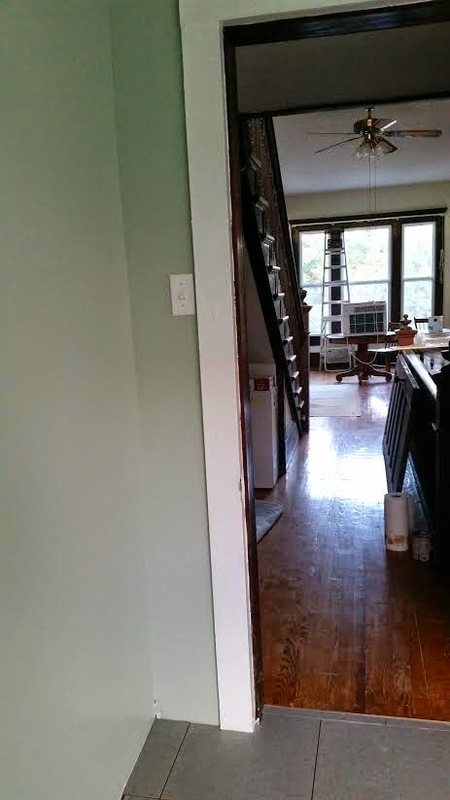 Everything is looking so awesome in your house! 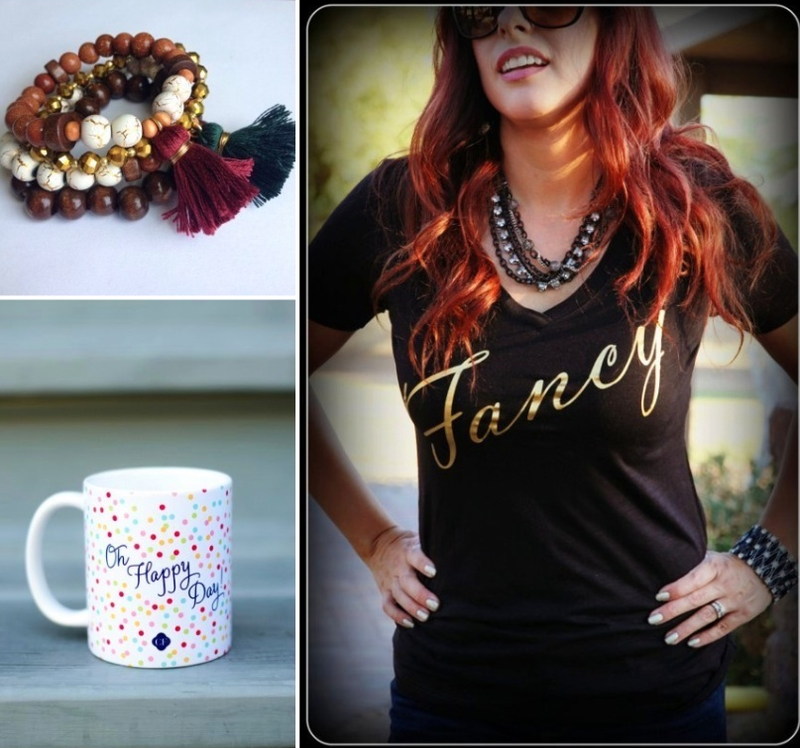 Looking forward to the giveaway- that tee is so cute!! And I'm obsessed with Revenge and AHS.. and Nashville. Is it back on too?!?! I don't have cable anymore and watch everything on Apple TV so I don't always see the previews for everything. Let me know! 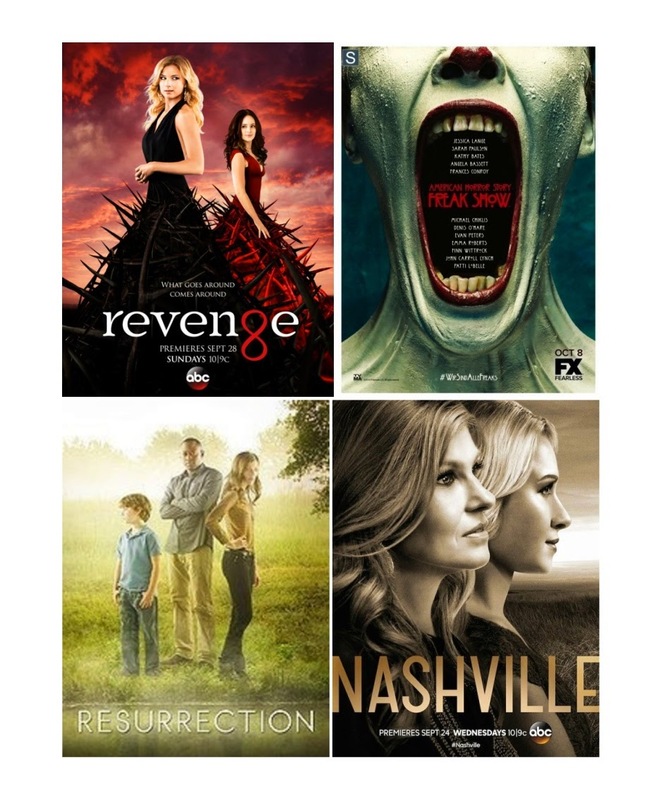 Nashville and Revenge are a couple of my favorites! Love the paint color and tile in the bathroom too. That's great that you have in-laws that help out with that stuff while hubby is away! Have fun this weekend! 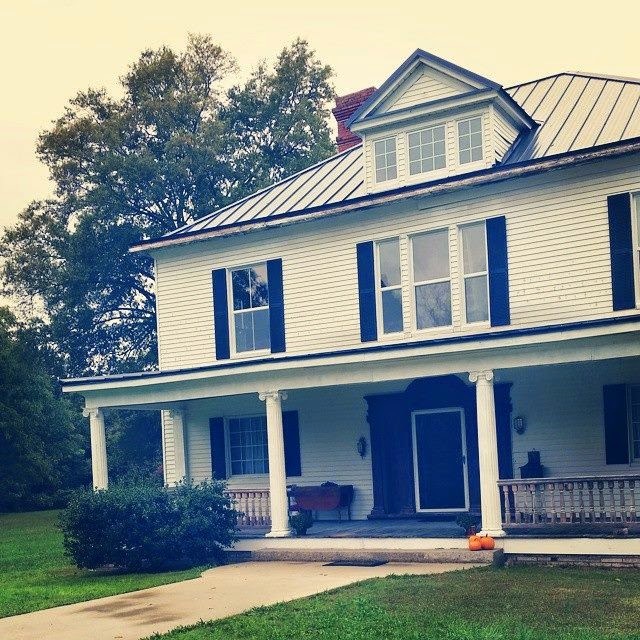 Haunted houses/woods would totally creep me out! Oh my gosh, your house!!! It is looking SO good! And love how the upstairs bathroom is coming together, your in-laws really do rock :) So glad you're loving Nashville, it's one of my favorites! Happy Friday! Your home is so beautiful! I love the columns outside!!! Nashville is seriously my fav - I am obsessed. I even contemplated buying the soundtrack, haha. I am also a Revenge fan, but not so sure about the new season. Your house is amazing! It is like my dream house! So so so cute! Also, I need that fancy shirt! I will definitely be back to enter. Have a wonderful weekend! love me some nashville!!! also loving that giveaway preview. happy weekend! I love Nashville so much. Connie Britton can do no wrong. I just got into How To Get Away With Murder this season and it's REALLY good too. Love thrillers! Your house is really coming along! 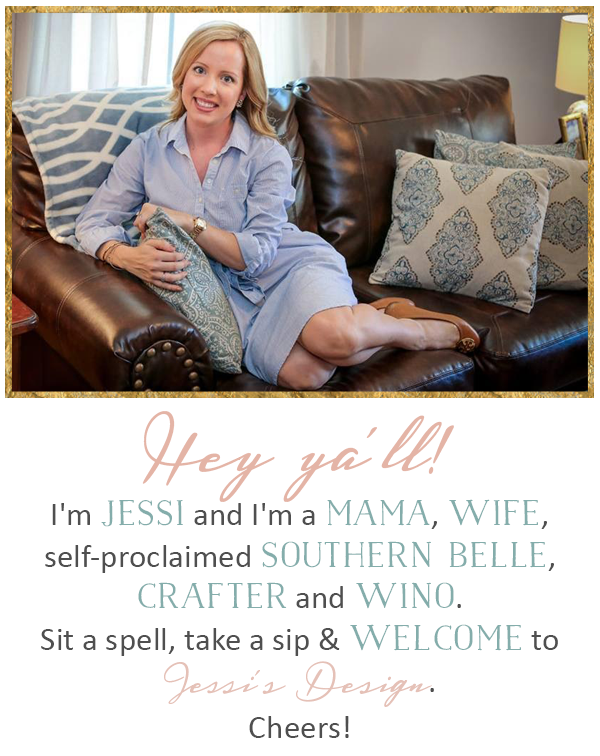 Have a great weekend Jessi! Oh the house...it's really looking great! I haven't watched this week's episode of Nashville...saving it for this weekend! Hope you have a fabulous weekend! Oh my gosh! The video of Ellen's producers was hilarious! I watched it over and over again! Can't wait for the giveaway! I love how your dark tile looks! We have dark tile in our master bathroom that I really dislike, but now I'm thinking it's just the red tones in our tile I'm not liking, not the darkness of it overall, cause I really really like yours! AHS this season is so creepy. That clown keeps me up at night. Esp after seeing what's under the mask last week! I also have a thing for that Lobster Boy. He's like...weirdly attractive? I have no idea. Mmm! That soup looks great! Thanks for sharing! I'm so happy that I'm not the only one excited that Revenge is back - it's crazier than ever now that David Clarke is back! I just love your home! A dream of mine to find one of these and bring it back to life! Ya'll are doing such a great job! ooh now that soup is calling my name!! Popping over from the link-up! Not sure what the bathroom colors were before but, I love them now! & The dark tile, looks amazing!! Hope you had a great weekend! Jessi, I LOVE your house!!! Seriously, I'm in love :) And I don't have cable anymore and I'm bummed that I haven't seen this season of Nashville. I wonder if the episodes are online. Oh yessssss to Fall TV! It's the best! I'm absolutely kicking myself for not starting Nashville from the beginning because it looks soooooo good!! I wish Netflix would get it so that I could catch up! P.S. That soup? Pinning now!! Thank you for sharing!